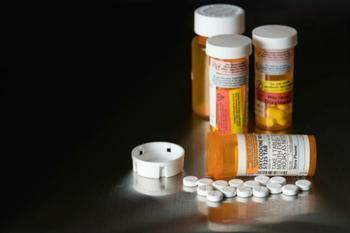 Opioid drug addiction has taken a huge toll on individuals and families. It also takes a significant toll on employers. When an employee is trapped in opioid addiction, the company not only sees productivity suffer, it may lose access to that employee's contributions through prolonged absences, or termination. But a survey by the National Safety Council finds employers seem to have little patience for dealing with the issue. "The opioid crisis is unique in that a considerable number of these addictions start with prescribed pain medication," said John Challenger, CEO of Challenger, Gray & Christmas. "While many employers feel drug dependency is a disease to be treated like other health issues, many more are willing to terminate the employee rather than aid in treatment options." The National Safety Council study found 65% of employers are likely to fire an employee with an opioid drug problem, even though 71% concede that it is a disease that should be treated. They, however, are not willing to treat it. Meanwhile, the problem is bad and getting worse. The National Institute on Drug Abuse estimates more than two million people abuse prescription opioids, and are 19 times more likely to move on to abusing an illegal drug like heroin. "With those numbers, it is not surprising that nearly 70% of employers have been impacted by prescription drug abuse," Challenger said. "However, it is surprising that only 19% of workplaces feel well prepared to deal with the consequences." What is not easy to quantify, he says, is how many of those addicted to opioids are working, or were terminated because of their drug problem. "It's also difficult to calculate the costs to a worker, an employer, or society at large," he said. "It is obvious that workplaces can have a dramatic impact on what happens to employees who suffer from this issue, for better or worse." Challenger, who heads a large outplacement firm, said he would like to see employers developing specific policies and procedures to deal with opioid addiction among employees. Termination, he says, just makes a bad problem worse. That's not to say that employers haven't tried to address the problem. But the National Safety Council opioid study 81% of workplace drug policies are incomplete. What's lacking, the report found, is a discussion of return-to-work procedures after completing drug treatment, making accommodations for impaired employees, and training to identify prescription drug abuse in the workplace.